Glioblastoma multiforme (GBM) is the most common brain malignancy. 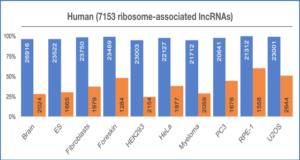 Long non-coding RNAs (lncRNAs) are aberrantly expressed in many cancers and are involved in their cell proliferation, apoptosis, angiogenesis, and invasion. The functional roles of lncRNAs in GBM are less known. 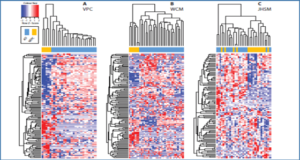 Researchers from the Chinese Academy of Medical Sciences analyzed a cohort of exon microarray datasets from The Cancer Genome Atlas. The differently expressed lncRNAs and mRNA were subjected to construct lncRNA-mRNA co-expression network. Probable functions for lncRNAs were predicted according to lncRNA-mRNA network and genomic adjacency by GO and pathway analysis. 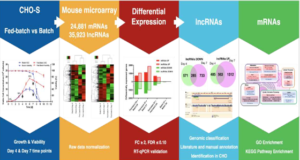 The expression of lncRNAs and mRNAs in GBM tissues versus normal brain tissues was examined by quantitative reverse transcription polymerase chain reaction. 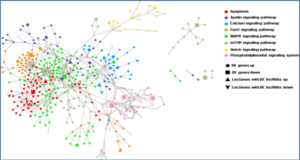 The 398 lncRNAs and 1995 mRNAs were identified as distinctively expressed in GBM. 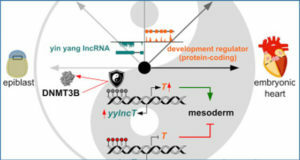 Probable functional roles for 98 lncRNAs were involved in 30 pathways and 32 gene functions related to tumorigenesis, development, and metastasis. The identified sets of key lncRNAs specific to GBM were subsequently verified by experiment in GBM tissues. These reports predict the biological functions of a multitude of lncRNAs in GBM that could be potential diagnostic and prognostic biomarkers as well as therapeutic targets. Moreover, our research provides a road map for the identification and analysis of lncRNAs in tumors. 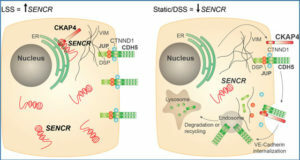 Schematic overviews of the signaling pathways in which the 53 lncRNAs probably participated.